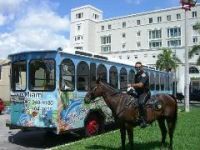 Miami Tour Company - Are you looking for Miami excursions or Miami day trips? Miami Tour Company offers the best Miami trips and excursions in Miami, Orlando and Key West. They were voted best tour guide in Miami by the Sunpost. When you listen to songs like Will Smith's "Miami" or watch shows set in the City of Miami like CSI Miami, it is easy to get the wrong impression. People may think the city is all about hot Miami celebrities, late night parties and sitting on the beach all day. Miami is about so much more than that. Miami Florida is home to great shopping malls, concerts, wildlife areas, Art Deco style architecture and much more. When you are looking for things to do in Miami, why not check out the many other sides of the Sunshine State by taking one of the many Miami trips or Miami excursions. You can check out zoos, the diverse animal and plant life in the Everglades, take a cruise, or even rent a boat to see all Miami’s islands. Miami trips and tours are a great activities and a good way to spend a day with the family and loved ones, making memories that will last for many years to come. There are plenty of options available for you, your family or group so it will be easy to find an activity everyone will enjoy. Miami tours may take an hour or more and Miami trips and excursions can last as long as a few days so it is important to schedule your vacation or day off accordingly and make sure you plan in advance. Parents will be happy to know that there are many family-friendly excursions fun for all ages. 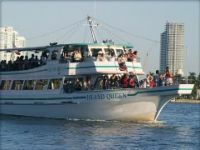 From tours on the Miami Redland Trail to a day cruise, or even a trip to the Florida Everglades, there are many things you can see while in Miami. There is so much, in fact, you may need to think about staying a little longer just to see it all. You can discover Miami and Florida by car, motorcycle, bus, cruise or airplane. Do not forget to read our things to do in Miami and Miami attractions sections! Once you have an idea of which Miami attractions, excursions or places you want to see, you must start to think on accommodations. It is important you plan carefully which Miami hotels might be best for you depending upon the tours you want to do. There are many websites that allow you to do your Miami hotel reservations with the click of a mouse. In addition, for being a popular tourist destination, there are many Miami Beach vacation apartments and Miami vacation homes available throughout Miami and Florida. There are a variety of top family destinations in Florida for all types of vacationers. The state of Florida covers an area of 65,795 square miles. Travelers planning to visit different cities during Florida travel should plan their Florida travel routes well ahead of time. Discover Miami and Florida by motorcycle... Find new and interesting ways to enjoy tourism in Miami... renting a motorcycle is definitely a great option! If you have the time, there are also some great day trips from Miami Florida into the surrounding areas... find out which ones are the best.